35mm. 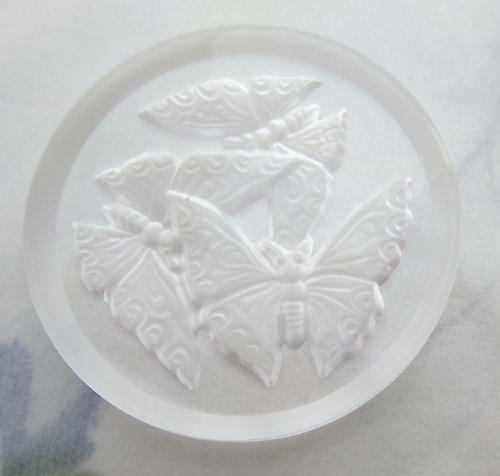 Vintage glass reverse intaglio butterfly cabochon. New old stock. Jewelry supplies.